Save the planet. It’s the only one we have so far. I’m on the ‘Green Team’ at work – we try to encourage our colleagues to reduce waste and increase recycling throughout our building. 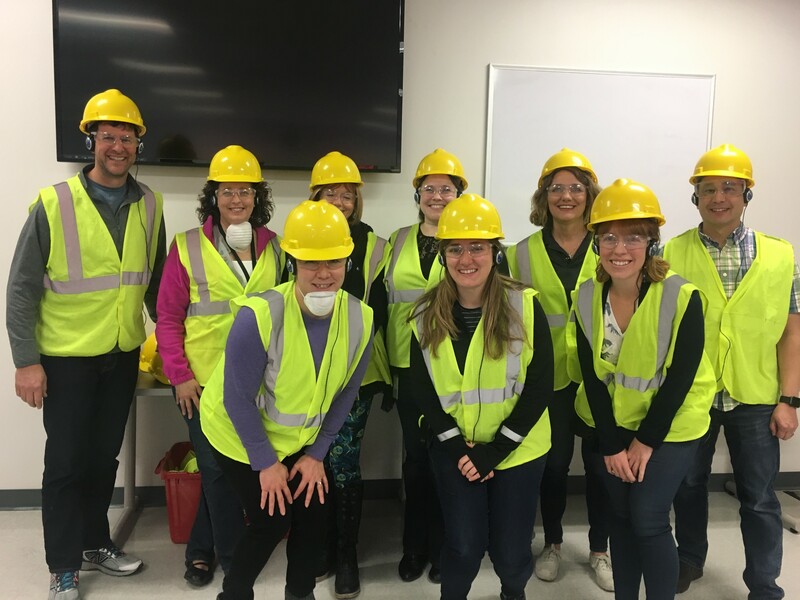 Recently, a group of Green Team members visited a local recycling center. Hard hats, ear protection and safety goggles… we’re ready for the catwalk! Then bulldozers and the world’s largest “claw game” move it onto conveyor belts. 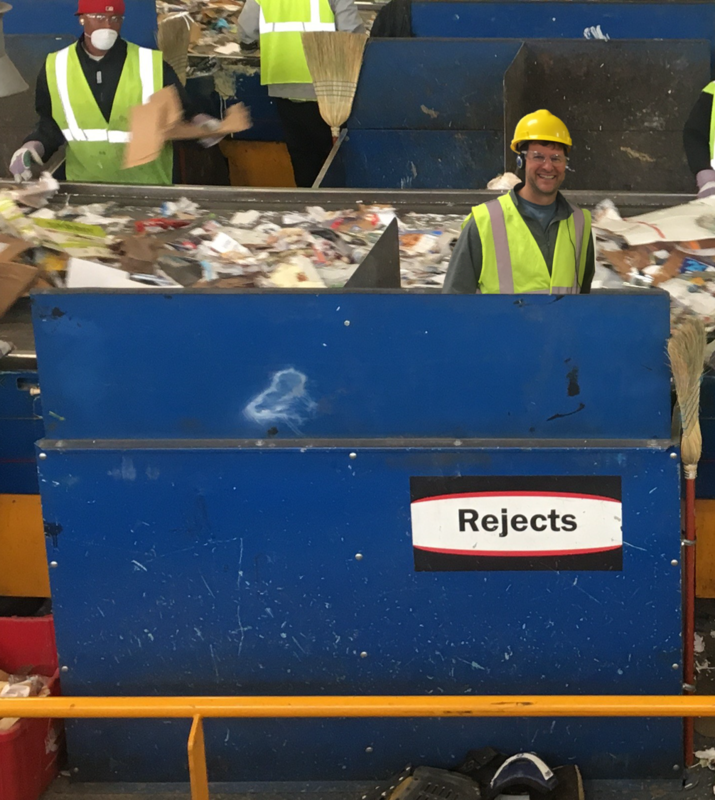 From there, it gets sifted and sorted into the various types of recycling materials (cardboard, glass, paper, plastic) with human intervention to pull out non-recyclables. While it’s great that this much stuff is being recycled, it’d be even better if we created less waste in the first place. After all, recycling is the final and least desirable of the ‘reduce/reuse/recycle’ trilogy. The low-hanging fruit is plastic water bottles – switch to reusable bottles. Then, put a stop to the junk mail you receive by unsubscribing, and sign up for e-delivery of other mail items. Buy in bulk to reduce the amount of packaging. Buy fresh instead of packaged. You know the drill. OK, I’ll get off my (eco-friendly) soapbox now. Nobody wants to listen to a reject anyway.